Dave Matthews Band released one of their full-length concerts as an album for the first time with Live At Red Rocks 8.15.95. It sold over 2 million copies—the group’s most successful live release to date—and proved what faithful fans already knew: that the Dave Matthews Band were one of the most engaging concert attractions in the world—a fact that hasn’t changed in the two decades since its release. 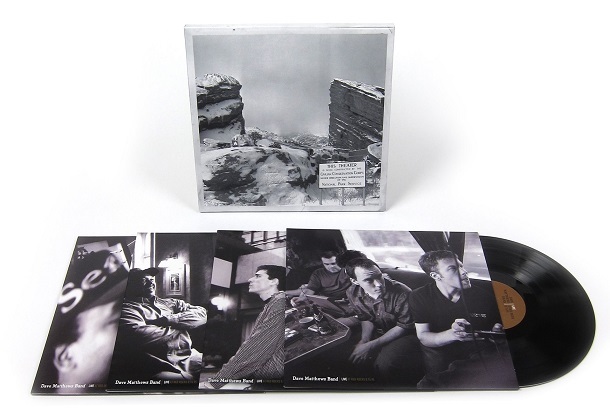 Now, Live At Red Rocks 8.15.95 is available as a 4LP set for the first time, pressed on black 150-gram vinyl, remastered and cut by Chris Bellman at Bernie Grundman Mastering, and packaged in a slipcase with four individual jackets. Includes a download code for the whole album.